It’s been quite on the site lately but not because I have nothing to say, but because I have been traveling. I returned from Bentonville, Arkansas a few days ago and now I’m off to Destin, Florida. It has been cold and wet in New Orleans recently so some fun in the sun is exactly what I needed. Fun is one word that can describe the location I am staying in. 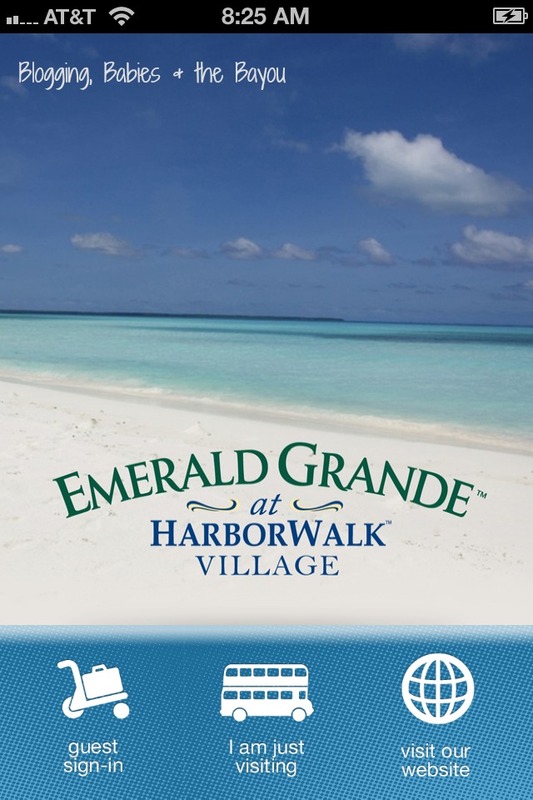 The Emerald Grande at Harborwalk Village in Destin, Florida is the prime location for a family or couple looking to enjoy the white sand beaches & turquoise water. One aspect that I am looking forward too is all the activities that you can do while staying at the Emerald Grande. From shopping, water sports, boat, pontoon and ski rentals, world class fishing, aqua adventures, dolphin cruises, clubs and nightlife, weekly fireworks, seasonal festivals, live entertainment not to mention all the local cuisine, your family will never have to leave the beachfront property which is important to travelers. You can’t blame me for looking for some aqua fun but I’m also looking for some pampering and relaxation. It’s also mother’s Day weekend so a nice message and relaxing by the pool might be exactly what I need to recharge and get myself back into focus. Each of the four different resort residence categories to accommodate families of all sizes which is important to me. I can’t wait to show you first hand pictures of their luxurious accommodations which include custom-crafted furnishings and lavish baths. I’m not kidding about the bathroom, I can see a long relaxing bath in my future! 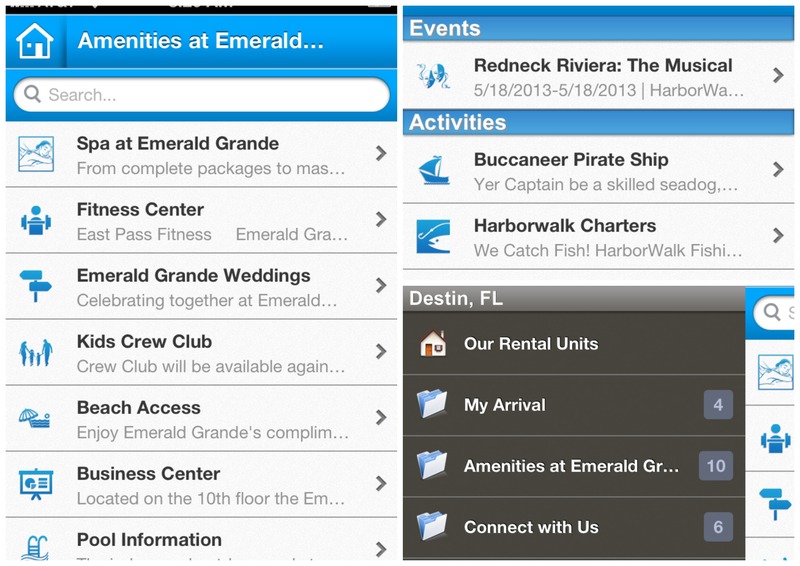 Guests can download the EG Resorts App that allows you easy access to all resort informaton with a touch of a button. I downloaded the App yesterday to get a better idea of which local restaurants will be within walking distance & the various activities and amenities the resort offers their guests. You & your family can enjoy amenities include a full service European spa and fitness center, indoor and outdoor heated pools overlooking the Gulf of Mexico, family-oriented water playground, full-time concierge, numerous restaurants to choose from as well as in-room dining, child care, state-of-the-art business center, garage parking and 24 hour security. If you don’t here from me for a few days, it’s because I’m working to find the perfect accommodation and resort for your next visit to Florida. Thank you to Brandfluential & MomDot for putting together this Brandcation Event! Have you traveled to Destin, Florida in the past? Are you ready for some warm weather and beach fun? What a gorgeous destination. I live in Florida but haven’t been to that area. This looks gorgeous. I’ve actually never been to Destin, but some of my friends tell me that they have the most gorgeous beaches, so, it’s on my list for sure. This is so amazing! I really need a vacation like this! Wow, absolutely Beautiful! 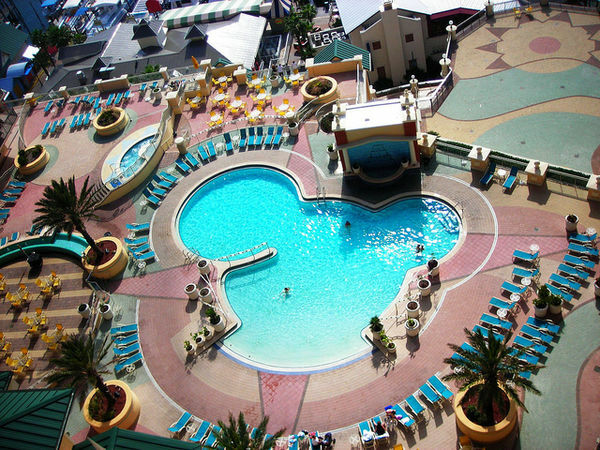 I would love to travel there one day, Love the pool also! Wow! What a gorgeous resort! I am so jealous. I need a vacation! I’ve never been to Destin, but I will have to look into it. We are planning a trip to FL in June! I am drooling over here. I have never been on vacation and always envy those who can, this is a beautiful place! Oh My This place looks amazing, sure you will have a great time. I want to go!! This looks amazing and relaxing!! !